Prepare Dressing: In medium bowl, whisk together all ingredients. 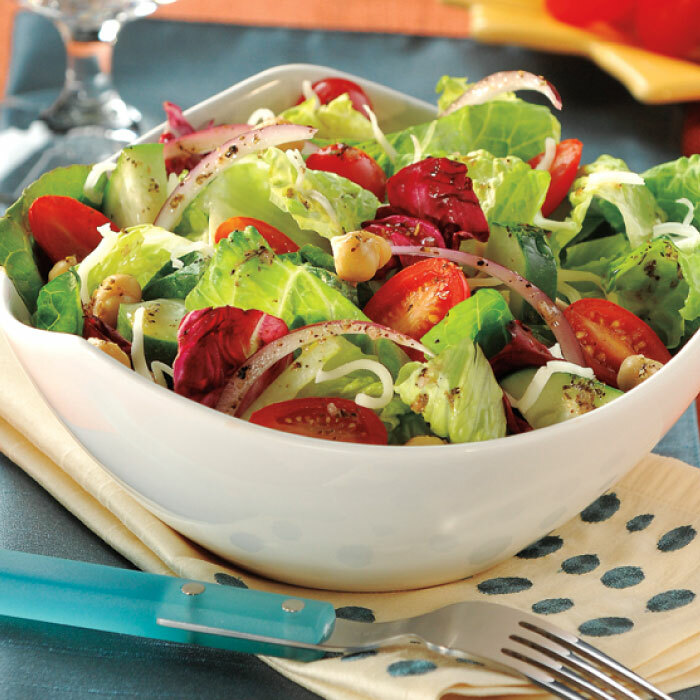 Prepare Salad: In large bowl, toss Italian salad mix, cucumber, onion, tomatoes and beans. Add dressing and toss well using tongs. Serve topped with cheese, if desired.